The ultimate goal of the Foundation for Conscious Evolution is the awakening of the spiritual, social, and scientific potential of humanity, in harmony with nature for the highest good of all life. 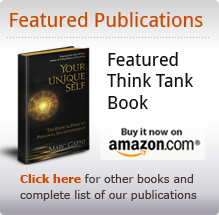 • To educate people in the worldview of Conscious Evolution and how to apply it in their lives, personally and socially. • To network, connect and align individuals and groups, making visible the vast movement for positive change that is arising everywhere, and to further cooperate toward our common goal of a compassionate, sustainable future. 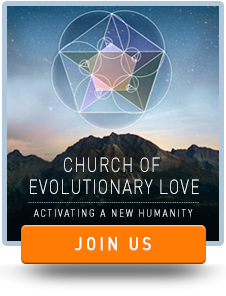 The initiatives of the Foundation for Conscious Evolution offer a context and container for connecting and empowering the vast global movement arising for positive change, making the efforts of this movement visible to engender greater coherence and synergy. We work on the premise that small islands of coherence in a sea of social chaos can jump the system as a whole to a higher degree of harmony and order. By connecting and communicating what’s working, positive and innovative, the Foundation for Conscious Evolution is helping to build a new path—a “golden bridge”—to the next stage of human evolution. On that path, we look beyond the current confusion and crises to see the new capacities that are arising. We hold our unprecedented power as the means for restoring the earth, freeing ourselves from illness, hunger and war, and fulfilling the deepest aspirations of the human heart. 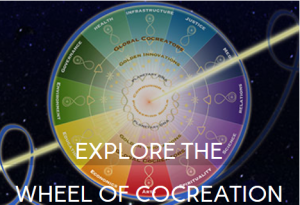 We envision humanity arising to cocreate a future equal to our vast potential.